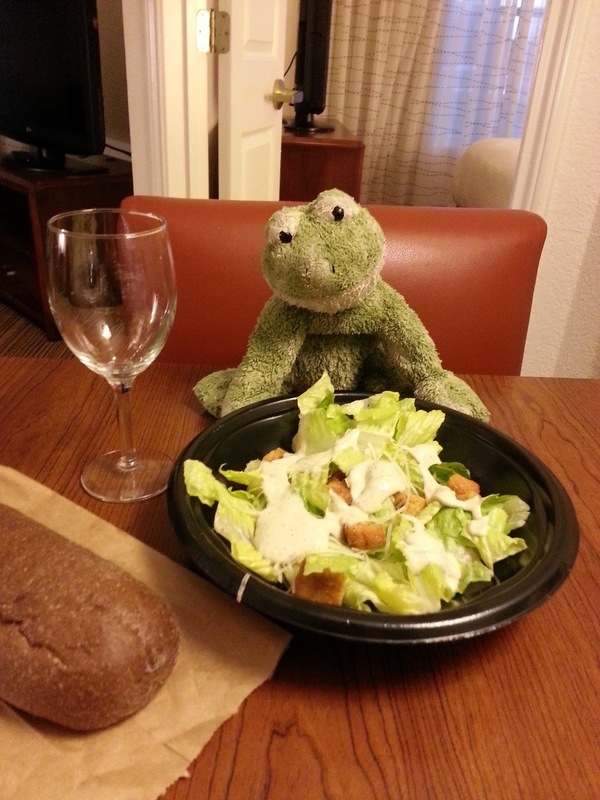 You may not know this, but whenever I travel away from home I always have a plush frog with me. This started way back, probably 8 years ago, when my daughter Alex told me to take her Froggy with me on a business trip. I took pictures of him doing various things with me, and continued the tradition with every subsequent trip. When our second daughter was born, Alex gave Froggy to her but he still comes with me on trips. Since I've been in the Dallas, Texas area this week, I thought I might as well share some of the Froggy pictures. 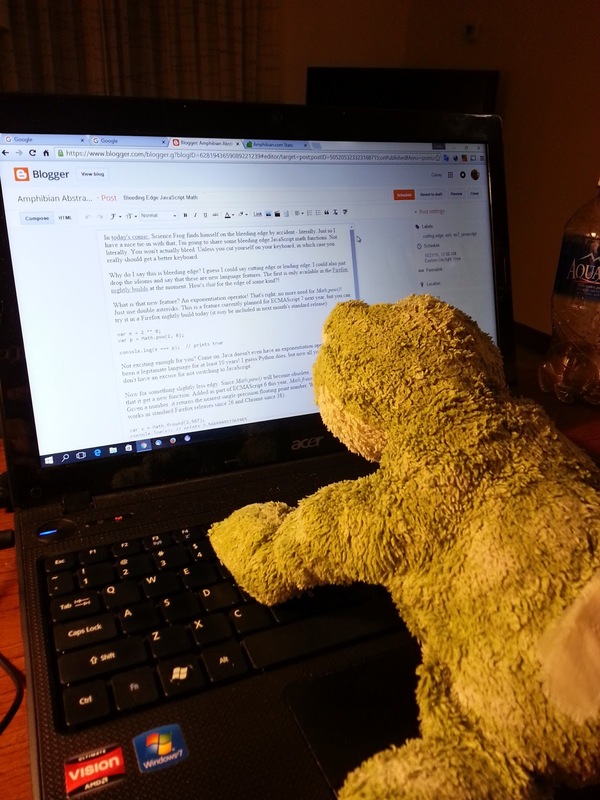 This frog has been many places. This is his third time in Texas. 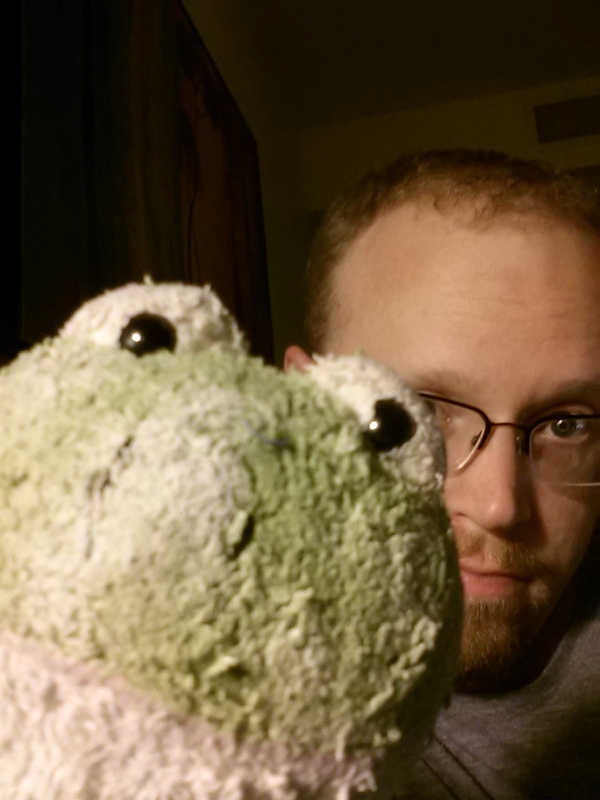 Plush frogs like to take selfies, just like people. He likes to eat green foods. We eat dinner together every night. He helps me write my blog. His typing is poor. I often find him sitting by the pool. 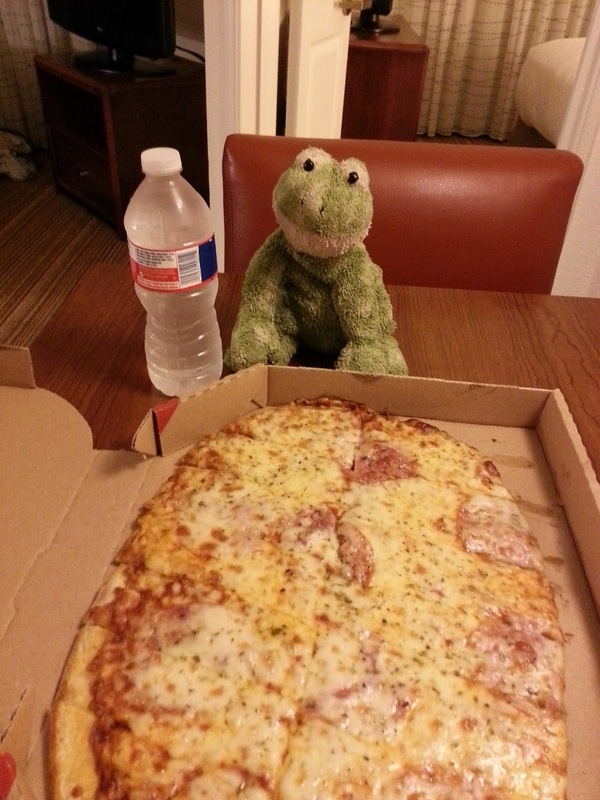 We sometimes share a pizza. This one was pretty good. Big storm in the Dallas area tonight. 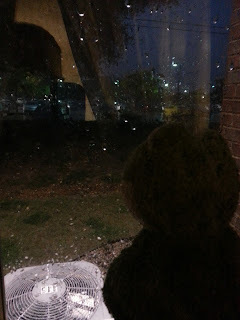 Froggy watches the rain. Froggy was not the inspiration for Amphibian.com. I was drawing frogs and putting them on websites years before Alex was born. In fact, I started drawing frogs when I was 11 years old, just a year older than Alex is now. 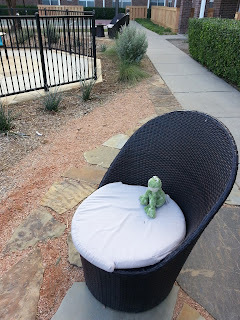 Which is probably why someone thought a plush frog would make a nice gift for my newborn daughter (Froggy is technically a Mary Meyer Sweet Rascals Freda Frog if you want one of your own. They're getting hard to find nowadays). Bit Rot. Is it real?